London, Aug 21 - A new study has suggested that modern humans and Neanderthals lived side-by-side for up to 5,000 years after the researchers collected more than 400 samples from the most important sites in Europe. Pallab Ghosh, a researcher from Oxford University said that a more specific dating method sheds new light on what happened when their two species first met, the BBC reported. Specialists have said that numerous trials on vitamin D affecting wellbeing benefits are either uncertain or inadequate to reach any firm determinations. The first, via scientists situated in the UK, Europe and USA, inspected information from observational studies and clinical trials to abridge wellbeing results connected with vitamin D levels, both commonly coursing and as a consequence of taking supplements. The European Central Bank (ECB) is expected to cut key interest rates this week as economic activity in the euro zone grew at the faster than expected pace in the recent past. A number of ECB watchers have been betting on a rate cut this month, but they also believe that any such decision will be a close call. Tom Rogers of EY Eurozone Forecast said, "We think the ECB will continue to underline it has options for further easing, but hold off using them unless the recovery takes a turn for the worse. The main focus at the meeting will be on the staff's updated economic forecasts." A court in Europe is set to review the legality of the emergency bond buying programme that was launched by Mario Draghi, the head of the European Central Bank in order to save the common currency. Germany's constitutional court has been asked to review the programme as some believe that the European Central Bank's Open Market Transactions scheme might have breached a mandate in the European law. The court said that it is possible that the OMT was legal and the matter will be referred to the European Court of Justice (ECJ) in Luxembourg, which is expected to offer repot next year. Benoit Coeure, the Executive Board member of the European Central Bank has said that the central bank's decision to cut rates in November was not a response to the the slowing price growth, or disinflation in the region. He said that the interest rate was not over risks associated with deflation in the euro area, while speaking in the Japanese capital, Tokyo on Monday. The European Central Bank has announced a cut in its interest rates in order to control the rise in the European common currency. UK publisher, Penguin has reahed a settlement with the European authorities over its pricing of E-books over the internet. Penguin, which is owned by Pearson PLC , has made an offer to the European Union's antitrust watchdog, which as been accepted. By the officials. The European Commission has said that the company has made a satisfactory offer to the authority following the investiations into distorted pricing of electronic books in Europe. 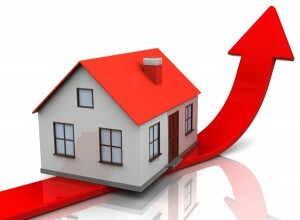 According to the latest data available, the property prices have risen by about 3.7 per cent during the three months till June, 2013 compared to the same quarter in the previous year. The growth rate of the 3.7 per cent was highest since August 2010 when the prices were 4.6 per cent higher. Data showed that the prices have risen by about £9,000 in eight months due to increasing consumer confidence and the lack of housing supply in the market, according to the Halifax. According to the latest data released, the total youth unemployment level in the countries that make up the Eurozone have risen to 23.8 per cent. The data showed that the prolonged debt crisis in the Eurozone continues to impact the jobs market with young people being affected the most. The overall unemployment rate in the euro zone rose to 12.1 per cent in May compared to 12.0 per cent in April, according to Eurostat, which is the European Union's statistics office. Tobacco users in the UK are paying much more for tobacco products than their counterparts in other countries of the Europe, excluding Norway and Ireland, figures released by the Office for National Statistics (ONS) and Eurostat revealed. The recently released figures showed that prices of tobacco products in the UK in 2012 were 94 per cent above the European Union (EU) average. Mario Draghi, the president of the European Central Bank will soon defend a key bong programme of the European Central Bank in a court challenge next week. Experts say that the central bank's bold steps have been able to keep the European markets calm over a period of time. The ECB had indicated that it will directly get involved in the bonds market and purchase bonds of troubled member countries, most likely Spain and Italy. Draghi defended the scheme on Monday in a conference in Shanghai, China and claimed that it was able to address fears that the Eurozone is headed for a breakup. The recession in Eurozone is still a threat to the world's economic recovery, the Organisation for Economic Cooperation & Development (OECD) warned on Wednesday. The OECD hacked its forecast for the European Union, the 17-nation group that uses the euro, saying it will suffered a contraction of 0.6 per cent during the current year, after shrinking 0.5 per cent last year. According to the latest figures released, the unemployment rate across the 17 Eurozone nations increased to 12 per cent in February, which is its highest ever recorded since the launch of the currency in 1999. European Union's statistics office, Eurostat said that the total unemployment rate remained at 12 per cent in February. The unemployment for the Eurozone nations was revised to 12 per cent from 11.9 per cent for January this year. Data showed that the total number of unemployed increased by a net 33,000 people in the area. European Organization for Nuclear Research (Cern) said on Thursday that is almost sure that the particle discovered in the previous year is indeed, Higgs boson. Europe’s low cost airline, Ryanair Holdings has said that the company is planning to file an appeal against the decision by the European Commission (EC) to block a proposed deal byteh company to acquire its Irish peer, Aer Lingus. Europe's low cost airline, Ryanair Holdings has announced its intentions to appeal against the decision by European regulator that seeks to block the takeover of Irish carrier Aer Lingus by the low-cost airline. The European Commission had issued formal objections to a new deal by Ryanair to takeover Aer Lingus alleging that the combining of the two Dublin based carriers would impact competition climate. Ryanairalso said that it has been informed by the European Commission that the _694 million takeover proposal is not likely to be approved. Astronomers have claimed that the high-tech cameras mounted on the European Space Agency's Mars Express have been able to map about 90 per cent of the surface of MARS in 3D. The high-resolution stereo camera on the Mars Express has taken pictures of the red planet that could help improve understanding of the makeup of the surface. The final product includes 2702 individual clicks of the martian surface including the spacecraft's 10 821st orbit of the planet that was completed on June 30, 2012, according to the ESA. World’s biggest package-delivery company, United Parcel Service Inc. (UPS) is planning to scrap its plans to acquire TNT Express NV following the negative response from the European Union regulators. UPS had announced a $6.9 billion or 5.16 billion-euro bid for TNT Express but the deal ran into troubles after the regulators in Europe expressed reservations on the deal. Following its decision to scrap the deal, USP will pay a termination fee of 200 million euro to the Netherlands based delivery company. Stock markets in the European region gained marginally and mostly remained steady as the Federal Reserve in the country began a meeting that is likely to result in more bond buying in the country.